SCOLLAY LOVE now on iBooks! 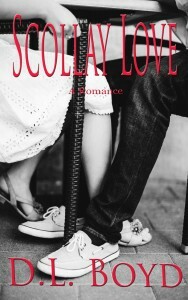 SeanSweeneyAuthor.com is proud to announce that SCOLLAY LOVE, written under the author’s D.L. Boyd pen name, is now available on Apple iBooks. The story centers around Joe Cafario and Charlene Phillips, two star-crossed lovers in 1953 Boston. They meet in the famed Scollay Square, where their love-at-first-sight romance is tested by Charlene’s Boston Brahmin father. Reunited in 1961, Scollay Square is in the process of a revitalization, and it tests their love even further: it is, of course, hard to lose the place where you met. Scollay Love is available here for iBooks, and is also available in the Bookstore page above for Kindle, Nook, and Kobo.